Whether you are looking for a brand new court, a refurbished court, or need service on your existing court, our team is ready to step up and get the job done right. 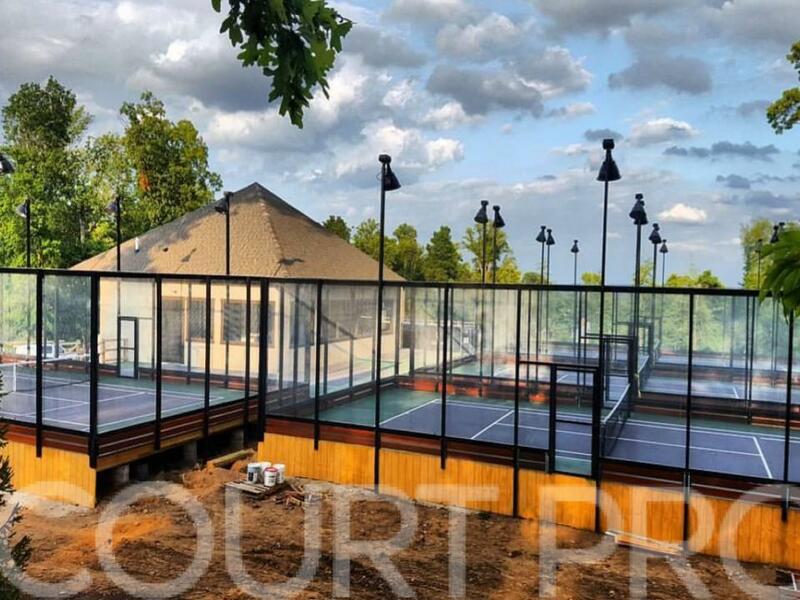 Our expert court building team has decades of experience in all aspects of platform tennis court manufacturing, installation, and service. Contact us today about an appointment for the Court Pro team to come evaluate your project. No matter what type of work you need performed, Court Pro has you covered. We’ve got the equipment and the know-how to build your new platform tennis court facility, or to get your existing courts back into top condition. 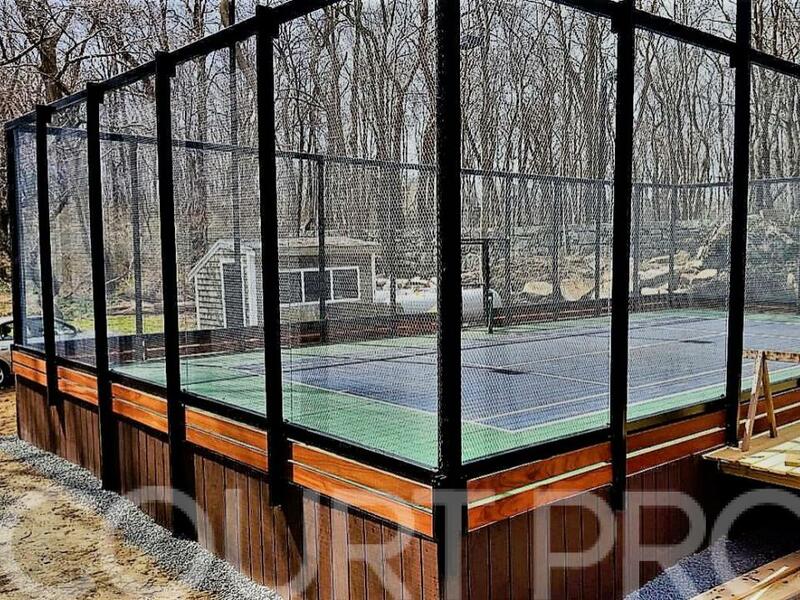 Court Pro is able to build brand new 100% aluminum courts at our manufacturing facility. We are able to manufacture and install the traditional 10 panel welded deck with cantilevered superstructure that has been popular for almost 50 years. Occasionally we have the chance to get our hands on a quality used court. These courts go through an extensive reconditioning at the Court Pro facility before being installed. Ask about availability. With an architect and a contractor on staff, Court Pro will design and build the ideal facility for your courts. We believe having the right facility is just as important as having great courts. Our team can help you design the best hut for your needs and budget. Take advantage of the offseason and have us come and recondition your court in time for league play to start up. Schedule with us before June 1 and receive a discount on all labor. Few people in our sport have put more time and effort into fostering growth than Rob Coster. During his three year tenure as APTA President, Rob was instrumental in bringing platform tennis to new markets, as well as helping it flourish in existing ones. Throughout his experience as APTA President, Region II President, APTA board member, and as the “commish” of several leagues in Connecticut, Rob recognized that as our sport continues to grow, there is a huge demand for more courts and for more professionals to service existing ones. Court Pro was founded with a desire to meet that demand and ensure that the sport of platform tennis is able to continue growing well into the future. Phil has been an architect for over 30 years, and a paddle player for even longer. His background gives him a unique understanding of warming hut design. Set up an appointment for Phil to come visit your site and draw up plans for your warming hut and spectator deck. While the rest of the team is out in the field, Adrienne is at the home office managing the administrative, marketing and human resources side of the business. Adrienne is standing by to answer any of your questions about invoices, proposals, or employment opportunities.